The sequencing of the human genome has provided a wealth of scientific information, but this information is limited by the poor understanding of the mechanisms which control gene expression. In addition to containing the code for the cell, the genome within the nucleus is a complex, self-assembled polymeric structure with unique rheological properties. The genome of metazoan cells is surrounded by an intermediate filament network known as the nucleoskeleton. Using spectrocopy, imaging, micromanipulation and computational techniques, we measure the mechanics of the nucleoskeleton and the nuclear interior at various length scales. We are particularly interested in the role that force and cytokine treatment play in altering nuclear mechanics and gene expression in primary human cells. Motor activity from the cytoskeleton transduced through the nucleoskeleton impacts the driving force for nuclear and subnuclear movement, and altered chromatin condensation shifts the resistance and propagation of forces. We also quantify nuclear stiffness in a broad spectrum of cell types: cells with less regulated gene expression patterns, including stem cells and cancer cells, have much softer nuclei whereas aged cells have stiffer nuclei. While the mechanisms directing stiffness are still being elucidated, we have quantified dramatic downstream impacts of nuclear stiffness on cellular migration. Generally, nuclear architecture and mechanics impacts cell fate directly by altering cell stiffness and indirectly by modulating gene expression. These results have broad implications in cell biology, inhibition of cancer metastasis, and for applications in cellular therapies. Kris Noel Dahl is an Associate Professor in the Department of Chemical Engineering at Carnegie Mellon University. Her group is interested in structure and mechanics of materials inside cells including the nucleus and cytoskeleton. By studying these structures, it is possible to provide insight into cell function and adaptation including stem cell differentiation, cancer metastesis and interactions of cells with nanomaterials. 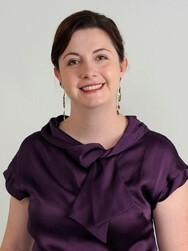 Dahl received her BS degree from Carnegie Mellon in 1998, and Ph. D. degree in Chemical Engineering under the supervision of Professor Dennis Discher at University of Pennsylvania in 2004. She performed her postdoctoral fellowship in Cell Biology at Johns Hopkins University before joing Carnegie Mellon in 2007. She is a recipient of a Whiteaker Fellowship and NIH Postdorctoral Fellowship for her training. She received an NSF CAREER award as well as a Young Investigator Award from the World Congress of Biomechanics.